The Park Live festival has been an annual must-see since 2013 for Moscow’s music lovers, who come to hear some of the world’s best-known bands. This year the three-day festival will be held right on the banks of the Moscow River in Gorky Park. This year’s festival features three headliners, one for each day. On July 27, you’ll have the chance to dance live to French DJ David Guetta, who will take the stage as the first day’s big act. Day one also will include the New York–based group Sofi Tukker, whose single “Best Friend” was recently featured in an iPhone X commercial. Day two will feature the world’s most successful virtual band, Gorillaz, along with the Swedish singer-songwriter Tove Lo, the Icelandic indie band Kaleo, and the Russian folk-rock group the Hatters, whose lyrics make fun of contemporary Russian culture. The final day of the festival is headlined by the British trip hop group Massive Attack, who have been performing since 1988. They will be performing along with their collaborators Tricky and Young Fathers. 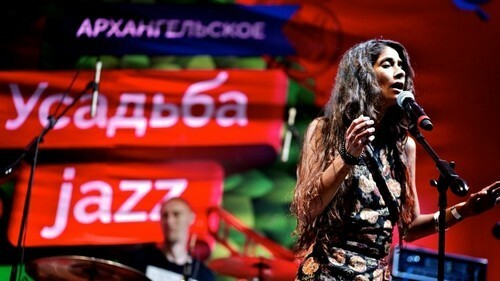 Moscow’s most important annual jazz festival promises to be particularly interesting this year. The lineup spans genres and has something to offer everyone from jazz purists to rock and electronic enthusiasts. It will be held at Arkhangelskoye, a historical estate 20 kilometers outside the city — and a lovely place to spend a summer afternoon. To keep you entertained and fed between your favorite acts, there will be a market and food court. Buses will be running between the estate and Myakinino metro station. Rides cost 200 rubles. Day one will feature the Russian band Auktsyon, formed in 1978, whose music takes elements from jazz, new wave and post-punk, and who have had enormous influence on the Russian rock scene. This three-day festival, whose name means “wild mint,” takes place 150 kilometers south of Moscow in the picturesque Tula region, not far from Leo Tolstoy’s former estate. For Dikaya Myata, you’ll want to spend all three days here; to do that, you’ll need to rough it. Accommodation is tent-only (you can bring your own or rent one from the organizers). To get to Dikaya Myata, you can buy a transfer with your ticket, which leaves from metro Bulvar Dmitriya Donskogo. The lineup here should be worth the less-than-ideal living situation. Headlining is the German folk band Milky Chance, whose single “Stolen Dance” topped the charts in much of Europe in 2013, and the Russian musician Zemfira. 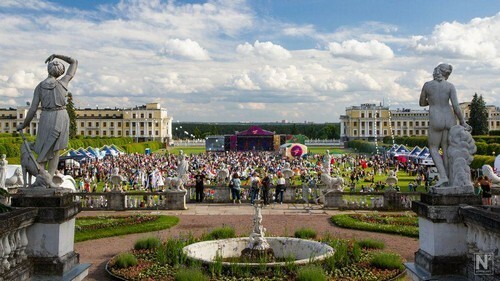 Packing a major lineup into one afternoon and evening, the annual Picnic festival has been written into many Muscovite calendars since the winter. Indeed, if you haven’t had enough of giant crowds at the World Cup (the 2017 Picnic drew 61,000 fans), you should be at Moscow’s Kolomenskoye Park for this event. This year’s lineup will feature the Canadian indie rock band Arcade Fire (who have won international acclaim, Grammy awards and an Oscar nomination), the Russian rock artist Zemfira, whose soulful and often melancholy ballads are universally loved in her home country, and the American rapper Joey Badass. The festival also features some of Moscow’s most interesting food vendors, and a market with objects from local designers and craftsmen. The 8th annual Ahmad Tea festival will be held at the Muzeon park on the banks of the Moscow River. This year’s headliner is the Scottish rock band Biffy Clyro, which regularly tops the charts in Britain. In the past the band has gained recognition opening for bands like Muse, the Rolling Stones and Red Hot Chili Peppers. Also of note on the lineup are the British alternative rock group Wolf Alice and English singer Miles Kane.